Learn how to reverse Disease with Aloe Vera! Written by Karen Masterson Koch a clinical nutritionist and health educator with over 17 years of experience in Immunology, this first book of the Healthy Handbook Series called Whole Leaf Aloe Vera Juice - Clinical Observations & Applications features valuable health information in an easy to read booklet on Aloe Vera, its applications, and 39 different health conditions and diseases that have been benefited with the use of Aloe Vera. 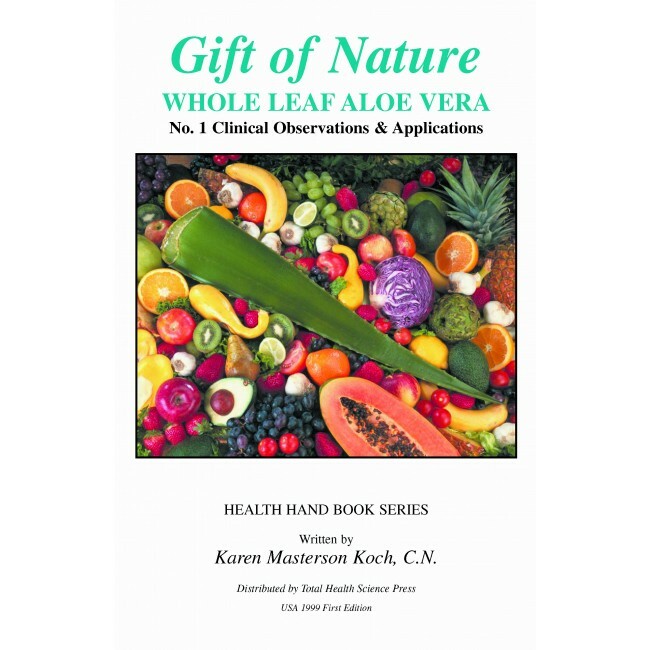 This book is a valuable tool for anyone who is new to Aloe Vera use and wants to know what makes Aloe Vera the Miracle Plant as it was named over 6000 years ago.